Chic California ease mixed with classic elegance best describe a trip through Emmalyn’s style blog, My Life and My Style. From her international adventures to her local excursions, we love Emmalyn’s approachable take on chic styling. Enjoy this stylish interview! Yes. I live in Southern California with my husband. I have a Bachelor’s Degree in Nursing and love working with kids. I worked for a Children’s Hospital in Los Angeles in the last 15 years and just retired 6 months ago. I love spending time with family and friends, travel, hiking, nature, Pilates, and photography. Can you tell us a bit more about your blog My Life and My Style? I love to travel with my husband and have a passion for fashion. My blog started out as a site to document our travels and it became an outlet from my very stressful and rewarding Pediatric nursing career. My Life and My Style has evolved into an online journal of my Southern California lifestyle, passion for fashion, and love for life, travel, and adventure. 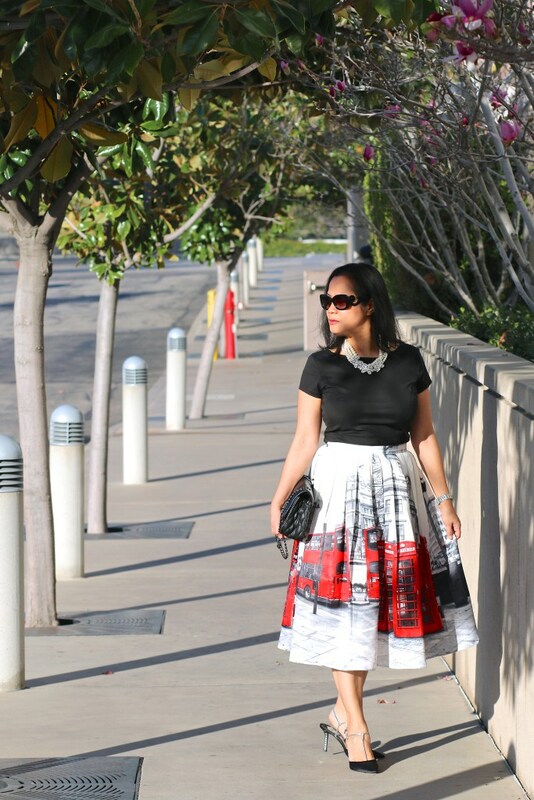 My personal style is a mixture of classic, chic, and (a little bit of) sophisticated styles. I love comfortable clothes with simple elegance. You are quite the jet-setter! How do you keep stylish while traveling? Although it’s a challenge for me, I try to pack a few days before my trip. I plan my outfits and check the weather forecast of my destination. I’m all for comfort when traveling and I also love to travel in style. To get that stylish look, I accessorize my outfits with sunglasses, scarves, and/or cute purses. I live in Southern California where the forecast is mostly sunny. 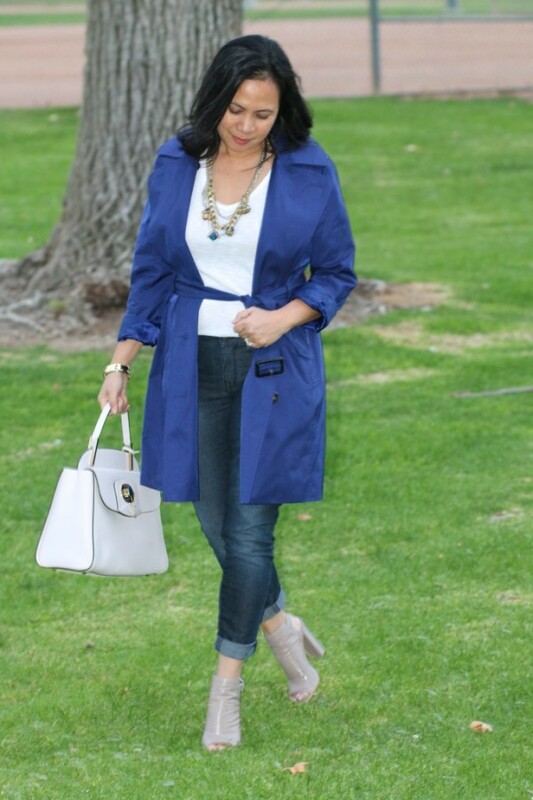 Oftentimes, I dress for the occasion, but the weather has a lot to do with the way I style my outfits. To some extent, yes. I still love wearing jeans and T-shirts but now I dress it up a bit. 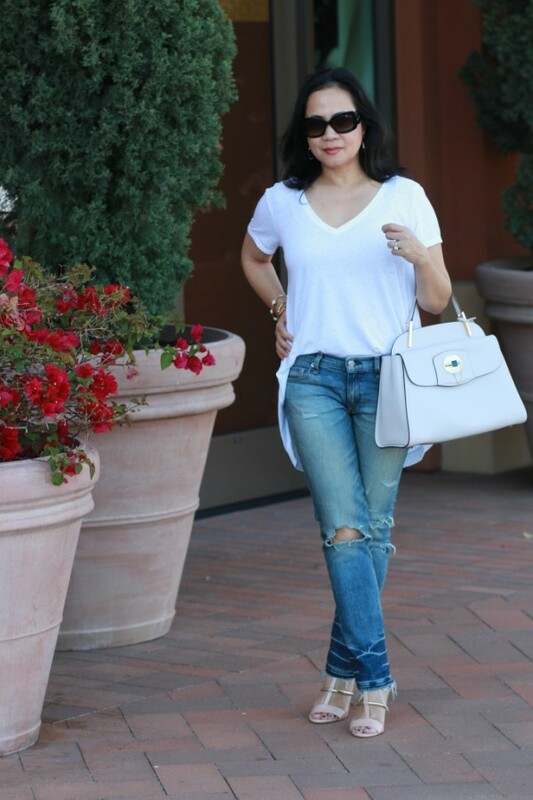 I tend to choose quality over quantity when buying some of my favorite fashion items such as: jeans, shoes, and bags. If I could buy these items on sale, even better. Wear what makes you feel and look good. If you love the way you look, that’s all that matters. My blog has evolved from a travel journal to a lifestyle and fashion blog. Blogging is one of my favorite outlets and I have fun doing it. I would love to see where it goes. Thank you for the interview. I had fun answering these questions. Join Emmalyn on her blog and Instagram. Thank you, Emmalyn! Emmalyn has great ageless style! Thank you for introducing her to us Sylvia. BTW, I love your blog too Susan. I read you every day and you and Sylvia are always inspirational! Thanks to both of you. What a great style. And a very classy lady! 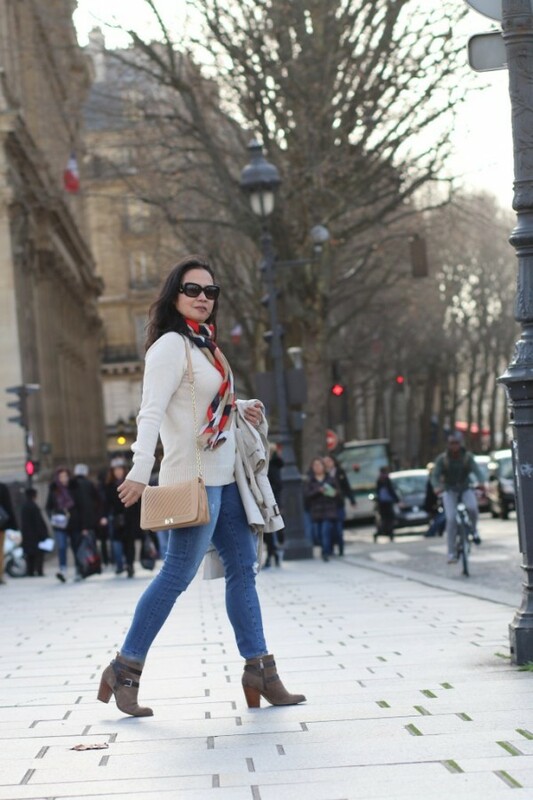 Great style and wonderful travel photos on her blog! What wonderful style! I am so jealous — especially of all those beautiful shoes she is wearing!!! And as Suzanne mentioned, wonderful travel photos on her blog too. And those shoes . . . .
that novelty skirt and the pink cardi! swooooon!!!!! “Wear what makes you feel and look good. If you love the way you look, that’s all that matters.” That is the best advice ever. I love how her shoes and classic bags put the final touches on each outfit. Great looks! A beautiful woman in beautiful clothes. You cannot go wrong there. I adore her bags and footwear. 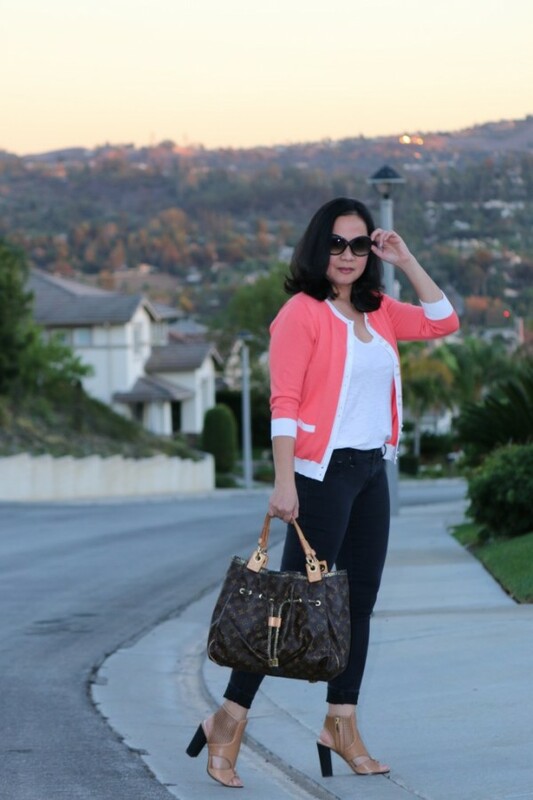 Another good 40+blogger to show the world that life and fashion doesn’t stop at that age. Lovely to be introduced to another 40+ lady. Next post: How to wear the clothes already in my closet and bring new life to them!